UN Secretary General Antonio Guterres calls on other nations to preserve Iran deal. Update 6: UN Secretary General Antonio Guterres said that he is “deeply concerned by today’s announcement that the US will be withdrawing” from the Iran deal. He also called on the deal’s remaining partners to work together to preserve the accord. Update 5: Former President Barack Obama has issued a statement about President Trump’s decision to pull out of the 2015 JCPOA, one of his signature foreign policy accomplishments. And as one might expect, he’s not happy. JUST IN: Former Pres. Obama calls Iran decision "so misguided." Rouhani confirmed that currency controls and reforms are being undertaken to be ready for the decision, and added thatTehran is ready to resume its nuclear enrichment work within 3 weeks after holding talks with the European members of the deal. Today is a sad day for America’s global leadership. The Trump Administration’s dangerous & impulsive action is no substitute for real global leadership. Saudi Arabia welcomed President Donald Trump’s decision on Tuesday to withdraw the United States from the international nuclear agreement with Iran and to reimpose economic sanctions on Tehran. “Iran used economic gains from the lifting of sanctions to continue its activities to destablise the region, particularly by developing ballistic missiles and supporting terrorist groups in the region,” according to a statement carried on Saudi-owned Al Arabiya television. Sunni Muslim Saudi Arabia, a key U.S. ally, has been at loggerheads with Shi’ite Iran for decades, and the countries have fought a long-running proxy war in the Middle East. 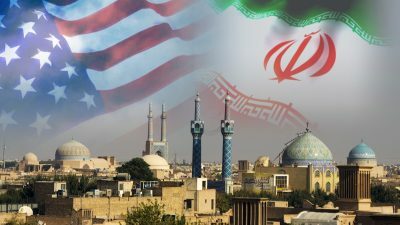 Update 3: US Treasury announces that it will begin the process of implementing 90- and 180-day wind-down periods for activities involving Iran that were consistent with sanctions relief. At the end of that period, all applicable sanctions will come back into effect. Today President Donald J. Trump announced his decision to cease the United States’ participation in the JCPOA and begin reimposing U.S. nuclear-related sanctions on the Iranian regime. Treasury’s Office of Foreign Assets Control (OFAC) is taking immediate action to implement the President’s decision. Sanctions will be reimposed subject to certain 90 day and 180 day wind-down periods. At the conclusion of the wind-down periods, the applicable sanctions will come back into full effect. This includes actions under both our primary and secondary sanctions authorities. OFAC posted today to its website frequently asked questions (FAQs) that provide guidance on the sanctions that are to be re-imposed and the relevant wind-down periods. Q: Will the United States resume efforts to reduce Iran’s crude oil sales? Update 2: After initially spiking, oil is now rapidly fading the entire move. The Iran Deal was one of the worst and most one-sided transactions the United States has ever entered into. Update: President Trump has confirmed the US withdrawal from the Iran Nuclear Deal and will be instituting the highest level of sanctions against Iran, adding that any nation that aids Iran will also be sanctioned. Trump stated that he has decided against continuing to waive sanctions as laid out in the 2015 JCPOA pact, i.e. Nuclear Deal, between the United States, Iran, Germany, France, the United Kingdom, Russia and China. The deal provided Tehran billions in sanctions relief in exchange for curbing its nuclear program. International inspectors and the deal’s signatories, including U.S. officials, have said Iran continues to comply with the terms of the agreement, but Trump has long derided the Obama-era accord as the “worst deal ever negotiated.” Trump had kept the deal alive by waiving sanctions several times since taking office. However, when the president last renewed the waivers in January, he warned he would not do so again unless European allies agreed to “fix” the nuclear deal. At the end of April, as the waiver deadline approached, Europeans engaged in a flurry of activity to convince Trump to remain in the pact. French President Emmanuel Macron, German Chancellor Angela Merkel and British Foreign Secretary Boris Johnson all visited the United States to make their case; however the deal’s international critics were also active, and none more so than Israeli Prime Minister Benjamin Netanyahu, who last week delivered a speech in which he declared “Iran lied” about its nuclear intentions. Meanwhile, supporters of the deal say the United States withdrawing gives Iran an excuse to restart its nuclear program, effectively killing the pact; at the same time it permits Israel to launch a preemptive attack claiming Iran will now resume building nukes. Not surprisingly, both France and Germany have warned the end of the deal could mean a Middle East war. Still, experts have said Iran is likely to stay in the deal even without the United States if it can continue getting benefits from the accord by being able to do business with European companies. Although with Trump escalating sanctions against Iran, this remains to be seen. And it seems CNN was once again ‘fake news’ as WTI prices spike on the Trump confirmation. Gold also spiked, but is fading lower now. While President Trump is expected to announce that he will not continue sanctions relief for Iran, a major step toward ending the 2015 nuclear pact he calls the “worst deal ever,” this morning’s barrage of fake news has left markets and onlookers confused and looking for clarification. As The Hill reports, the announcement follows weeks of furious lobbying by European allies who sought to convince Trump to remain in the deal. That should not be surprising since The EU has the most to lose if the deal is scuppered.. But each one left the U.S. pessimistic about the deal’s future. As we detailed earlier, while expectations are for Trump to withdraw from the deal, his speech will be all about the nuance: how will the president frame the US exit, and whether Iran will be allowed to continue its oil exports after the US is no longer a participant in the JCPOA. One preview of what Trump’s speech may look like comes from Citi’s head of commodity research, Ed Morse, who in a Bloomberg interview this morning said that President Trump will likely give European governments “a chance to step up what they’ve already offered in terms of tightening sanctions”on Iran. The tighter sanctions would relate to issues left out of the 2015 nuclear accord, such as Iran’s development of ballistic missiles, terrorist financing, Hezbollah, Islamic Revolutionary Guard Corp.
Morse also said that it’s possible OPEC will meet and decide to increase output to fill gap left by Iran, although with the price of Brent surging to the revised Saudi target of $80, it is unlikely that OPEC will interfere with the recent favorable equilibrium. Finally, with everyone throwing their 2 cents on what the price impact of today’s deal collapse could be, Morse said that the Iranian political risk in oil price is about $5/bbl, however the recently bearish analysts said that any sell-off would be “a lot more” than that.